It's China Internet IPO time! So we've invited Jeff Lyndon, former game champion and now Co-founder and President of iDreamSky (乐豆游戏）, China's leading independent mobile game publisher, to speak at our 88th Web Wednesday gathering in Hong Kong. Jeff has recently returned from a successful IPO listing on NASDAQ where they raised US$115M, so will share his story of a Hong Kong entrepreneur helping a Chinese game company to list in the most competitive tech market in the US. Oh yes...we'll also talk plenty about how to design, develop and distribute great mobile games in China. You can find Jeff on LinkedIn, Twitter and read his favourite clippings on Paper.li. 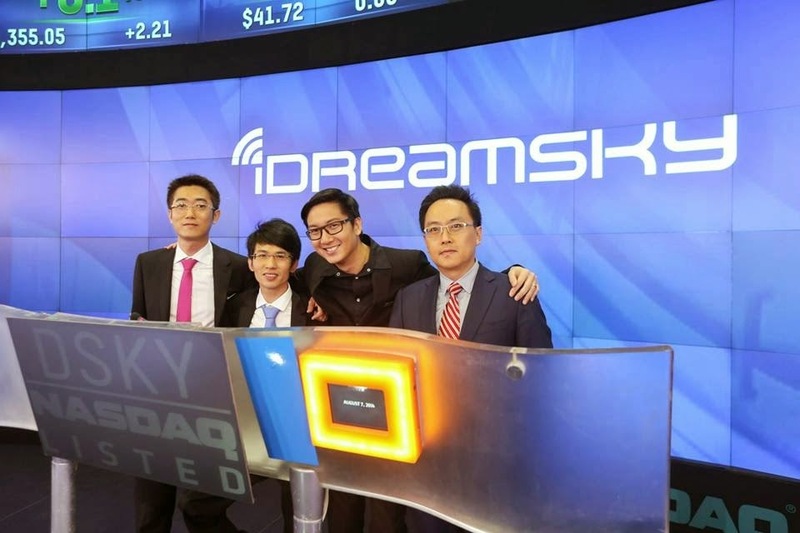 As for iDreamSky, they are very active on Chinese social media and you can find them on Sina Weibo (303K fans) and Tencent Weibo (17K fans) as well as Facebook (165 likes) and Twitter (25 followers). From these numbers alone, you can see that China is their core market! Temple Run 2 attracted 30.8 million active users and 10.3 million average daily active users in March this year. Revenue climbed to $40.7 million in 2013, from $3.1 million in 2012, and to $28.0 million in the first three months of this year. It swung to a profit of $5.4 million in 2013, from a loss of $1.5 million in 2012. It earned $5.3 million in the first quarter of 2014. Listen to Jeff explain the China market for overseas game developers in the interview below. Come here the man in person at Web Wednesday Hong Kong on 24th September at Club 18, 18 Lyndhurst Terrace, Central. Doors open at 6:30pm with the interview at 7:15pm. We'll be giving out iDreamSky goodies so spread the word far and wide! Find out who else is coming via the event invite on Facebook or MeetUp.